Have you felt like “somebody’s watching me?” Do you ever wonder why ads seem to follow you around on the internet? This is what we call Dynamic Website Retargeting! Retargeting is following someone around online who recently visited your website and showed an interest in your product. Dynamically retargeting your website visitors is a fairly straightforward process. 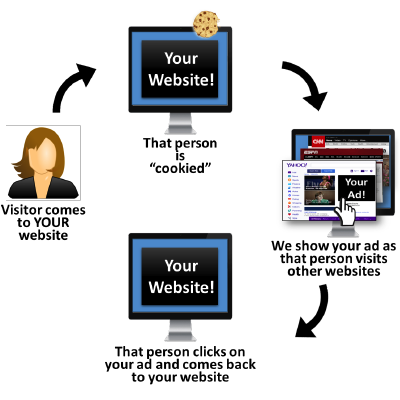 When a visitor goes to your website, a cookie is placed on their browser, that person is then followed around on the web. And wherever they go, your digital advertisement is displayed. Due to the frequency in which the ads are displayed, the “targeted” person then comes back to your website and converts. Retargeting is an effective marketing strategy. According to Retargeter.com, only 2% of website traffic converts the first time they come to a website. At Big Hit Creative Group, we understand that just as the digital world is always evolving, a customer’s path to conversion is constantly evolving with it. An Adobe study found that the average consumer goes through at least five touch points before converting. A conversion is getting your visitors to do what you want them to do, whether that is to buy your product, sign up for your newsletter, register for a webinar or download a whitepaper. A touch point could be any number of interactions that a consumer goes through before deciding to purchase including doing a Google search, going to a competitor’s websites to do comparisons, doing research on-line about your product or service, to picking up the phone and calling you. Use Frequency caps – A frequency cap is a piece of code placed on your website that limits the number of times a person will be shown your ad as they are surfing the web. We recommend a monthly limit of 20-25 times, enough to keep your business top of mind without annoying the consumer. Segment your Audience – Separate your website visitors according to what pages, products, or services they visited. Your ad could feature an offer specific to the page they were interested in on your website. You don’t have to run the same ad to everyone you are retargeting. Use Conversion Tags – Also a piece of code placed on your website, but this code “kills” the retargeting after someone converts. Did you ever buy something online and then continue to see an ad for that product asking you to come back and purchase? Really annoying…big waste of digital impressions and budget. To find out how to start your Website Retargeting campaign, contact Big Hit Creative Group at info@bighitcreative.com or visit us online at http://www.bighitcreative.com. 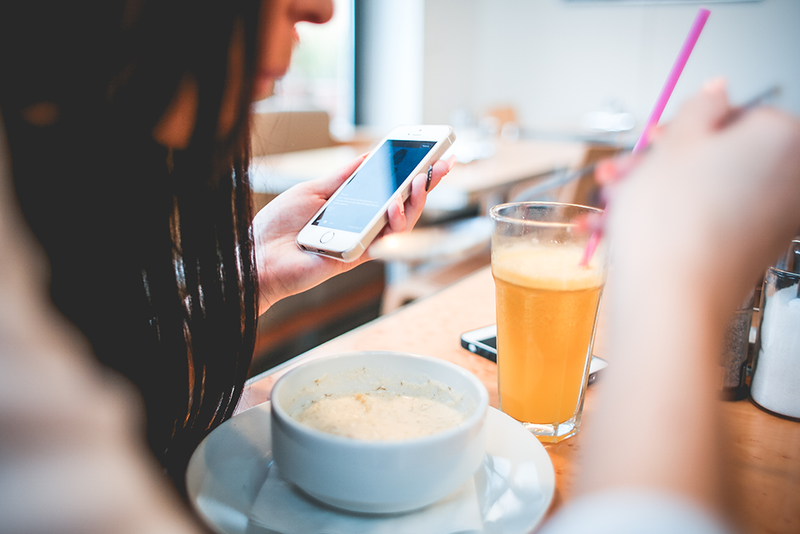 Traditional advertising drives consumers online.